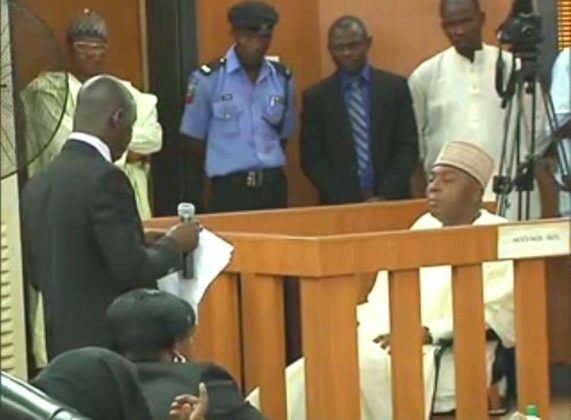 Saraki appeared before the Code of Conduct Tribunal today where he pleaded not guilty to the corruption charges laid before him. 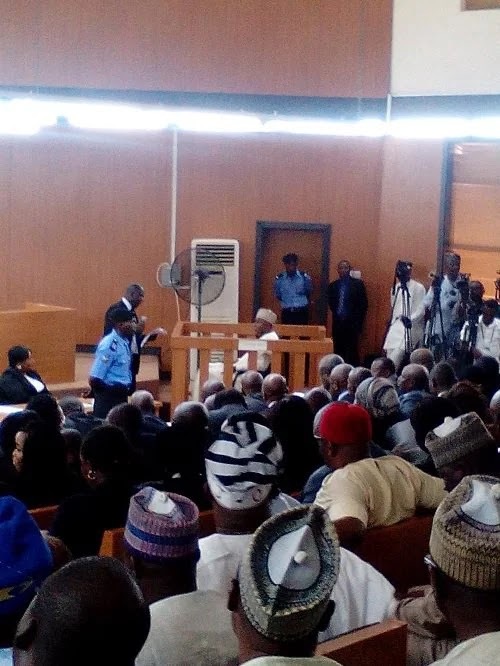 Justice Danladi Umar of the CCT adjourned the case to October 21st, 2015. 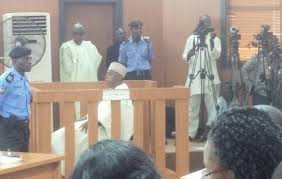 The Senate President initially turned down request to sit in the dock but when CCT ordered him to on several occassions, he eventually did. “I am a firm believer of the rule of law. I have come here to subject myself before this tribunal. I strongly believe that I am here because I am the Senate President”. “I felt that the CCB should have called me. We have been hearing about new Nigeria but this is the first time this kind of thing is being done without following the due process. Nigerians are watching and the world is also watching. I will confirm myself to the due process. So as i stated, I want to say that I am not guilty”. The era of impunity is over. Game over! Saraki should resign now. APC wants Saraki out because he disobeyed the party. Am not a supporter of corruption practices either, but if they want him out because of their own selfish reason, they wont succeed. And if they eventually do, then i dont know what will become of Buhari’s government. See him looking like a common Thief. 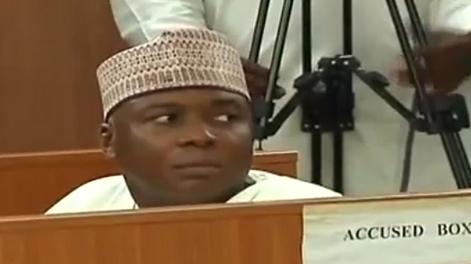 mercy,why wont he look like a common thief, when dis same saraki singlehandedly liquidate societe general bank,he has not seen anything yet,the law of cama is at work,let wait and see as d drama onfold. 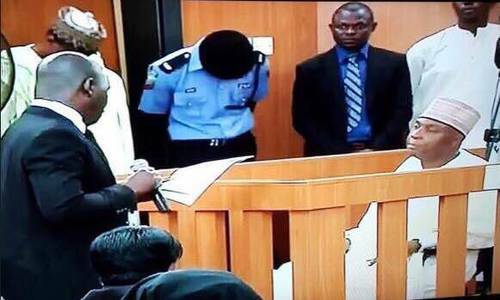 Political Drama Nigeria.They felse him to sit in de dock.but see Ac blowing de man on head. THESE MUSLIM ******* KNOW NO PEACE!!!! JUST LOOK AT THEM FROM THE SAME TERRORIST GROUP, BOTH THE ACCUSED AND THE ACCUSER!!! The PDPshould go back to the drawing board and put at the ready, sen. David Mark or another so as to effectively possess the leadership of the Senate and the NASS. 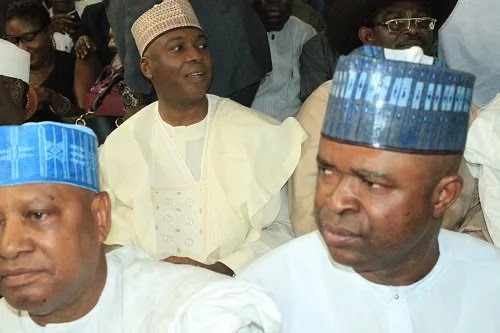 saraki’s compromise with the PDP is a threat to the Northern APC since the APC are mainly from the North and PDP from other tribes. 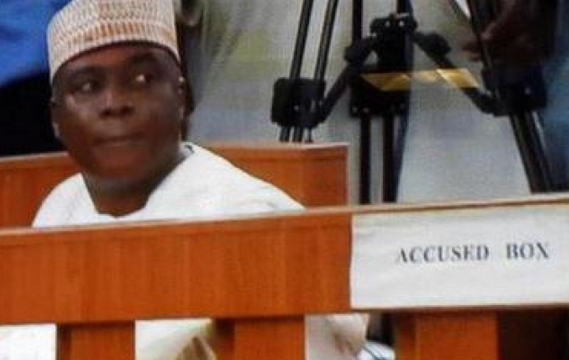 The saraki may become a sabottage against the Northerners. Not just because he is a loot. afterall other Arch looters are there. I am sure Buhari is working at the background cos he felt insulted by the event that gave birth to saraki’s presidency in his absence.